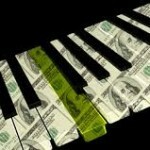 Why has the internet become essential tool for an effective piano seller? Probably you are thinking “ I run my business and we sell this way for many years and it works fine. I am doing very well and I do not need any of these things “. It is also possible that you have already experienced decrease in number of clients. It might be the signal that it is high time you seriously take care of your image, presence, and visibility in the Internet. In the first article from the series prepared especially for piano sellers the author outlines three recent trends, which should be known by anyone who wants to sell pianos nowadays. The first one is the huge popularity of the Internet that grows constantly. The second one is the influence that the information found on the Internet has on the purchase decision. This influence is already remarkable and is expected to rise dramatically. Last but not least, the third trend to point out is the importance of smartphones and other mobile devices, which is also expected to grow dynamically. 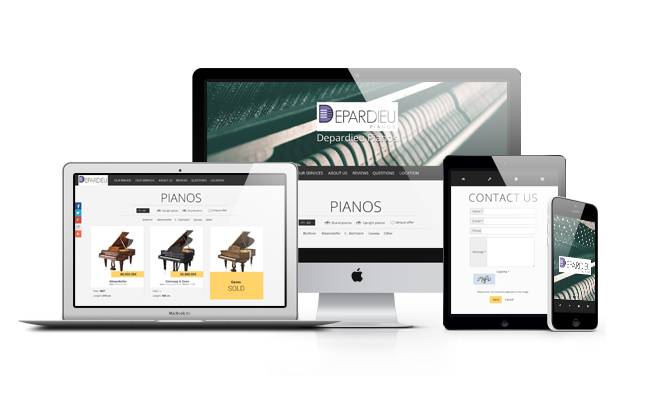 Due to these three trends Internet has become an essential tool for any piano seller nowadays. The Internet has become the integral part of our daily life – both professional and private. It is used by majority of British. Since 2005, International Communication Union, UN communication agency, has been publishing an annual report about communication and telecommunication in the world. According to this data, 90% of British use the Internet regularly (2013). Furthermore, since the day of the first released data (year 2005) the popularity of the Internet rises in UK every year. This is the first reason to consider the Internet as an important tool and start to truly explore its potential. Such popularity of the worldwide computer network makes it necessary to start promoting your business in the web and create your image in a conscious way. Whether you like it or not, people seek your business online and the wise thing do is to make them see what you want them to see; show yourself in the way you want to be seen. The Internet has become or soon will become the most important medium in United Kingdom. It will become crucial to take care of your image in the web in order to sell successfully. If you do not have the current pianos for sale on your website, contemporary customer doesn’t know about them! If you do not show your offers in the Internet you dramatically decrease the chance to reach the client and sell your pianos. If your website is not of the top quality, you make poor first impression on your potential client. If you do not have the website, you reduce the probability that the client will learn about the services you offer. „Second Annual Shopper Study”, the study published by GE Capital Bank, takes a closer look at the role the Internet plays in the purchase decision. The research was conducted on the group of 3220 people who, in the near past, purchased high-value products – above $500. The results show that 81% of consumers had the companies and their products checked online before they visited the shop or/and decided to buy the product. How about you? What is the first impression you make on a client that finds your business on the Internet? Do you understand the point about hiding your pianos now? Do British people find the Internet as important as people in USA do? There is no research like that about United Kingdom, but we can see in our everyday life, that British show similar online activity. Think about the time you were buying new camera. Wasn’t the Internet the first place or one of the first places you tried to find some more information? By taking the Internet seriously and spending a little bit more time online you can make an excellent first impression on your client. Take care of that. It is worth the effort! The majority of customers conduct an online research about the product and the seller before they buy anything. The Internet plays a very important role in customer’s purchase decision. Another important research was conducted for the company xAD by Nielsen Agency, which specializes in market research and data gathering. It shows that 49% of Americans first use mobile devices in order to find information (including the information about services, products, and companies). Have you ever thought what first impression you make on the client that browses your website that is not compatible with this kind of devices. Think how much better impression you would make if your website was designed to look professionally on these devices! What about United Kingdom? Precise and current data about the use of all the mobile devices (Tablets and Smartphones combined) in United Kingdom is unavailable. Fortunately, the data about smartphones alone is. On Google’s request, Ipsos MediaCT, Mobile Marketing Association and Interactive Advertising Bureau cooperated together to prepare the report about the popularity of Smartphones. 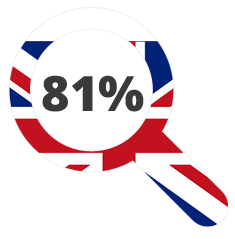 According to this report, in 2013, 62% of British owned and used smartphones. It is an 11% increase in the number of smartphone users in comparison to year 2012 (51%). Should you omit or neglect such huge and dynamically rising group of clients? What other conclusion comes out for anyone who prepared a website for himself or his company at least once in his life? What is the first thought that comes to mind after one reads about the mobile Internet which has developed over last 4-5 years, but was almost inexistent before? Do you remember how much effort it took to develop, design or find right people to create your website? And now what? You did all of these to learn that your website is out-dated after 2-3 years? The Internet changes, online environment accelerates and it will not stop – accept it. It is extremely difficult to follow all the changes without neglecting what is the most important in piano selling. When we created the “Piano Salon” service we wanted to tackle this very problem. 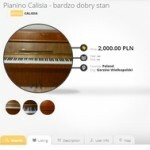 We will always provide the most recent technologies and websites/profiles of piano salons and smaller sellers on Klaviano.com that will always match and often outperform the highest marketing standards from other branches. 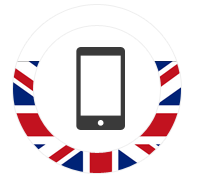 Mobile devices are an important tool used by British to access the Internet. It is expected that they will become more important in the coming years. … WHAT SHOULD YOU DO NEXT ? What can you do right now to take care of your image, availability and visibility in the internet? 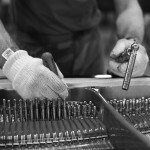 First of all you could subscribe to receive this newsletter dedicated to people selling pianos prepared by Klaviano.com. In this way you will increase your awareness about selling in the Internet. If you are interested, we will regularly send a notification about a new article about piano sale on the internet on your e-mail. This newsletter is 100% free. It is created in consultation with piano sellers from all over the world and aims to help you deal with Internet problems that people like you encounter. We want you to learn the most important aspects of Internet marketing by reading 10-15 minutes long articles sent to you regularly. We collect and select the most important information and want to present them to you in understandable way supported by advices from leaders of Internet marketing. In these 10-15 minutes we want to share the most important aspects of internet marketing specifically selected and profiled for piano sale. Does it sound exciting? Subscribe NOW. I also invite you to register your piano salons, piano shops and piano workshops on Klaviano.com . I hope that the solutions created especially for you will help you sell pianos even more successfully. I also hope that its simplicity and intuitiveness will make the use of the services a pleasure for you! 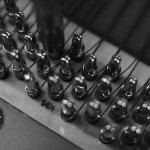 How often piano tuning is required, how long it takes, how much it costs? 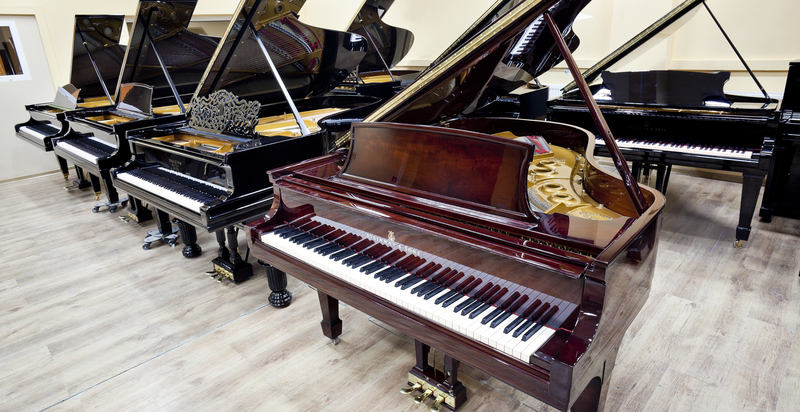 What you should look for when you are adding the ad of the sale of your grand piano or piano?